2019 Four Peaks Brewing Co. Downtown Music Festival Announces Rebirth Brass Band. Whether seen on HBO’s Treme or touring around the country, Grammy-winning Rebirth Brass Band is a true New Orleans institution. Downtown Grand Junction will be feeling the soul during the Seventh Annual Four Peaks Brewing Co. Downtown Music Festival and Grand Junction Off-Road, May 17-19. Rebirth Brass Band is set to take the 4th Street Stage on Saturday, May 18 at 8:30pm. While committed to upholding the tradition of brass bands, they’ve also extended themselves into the realms of funk and hip-hop to create their signature sound. 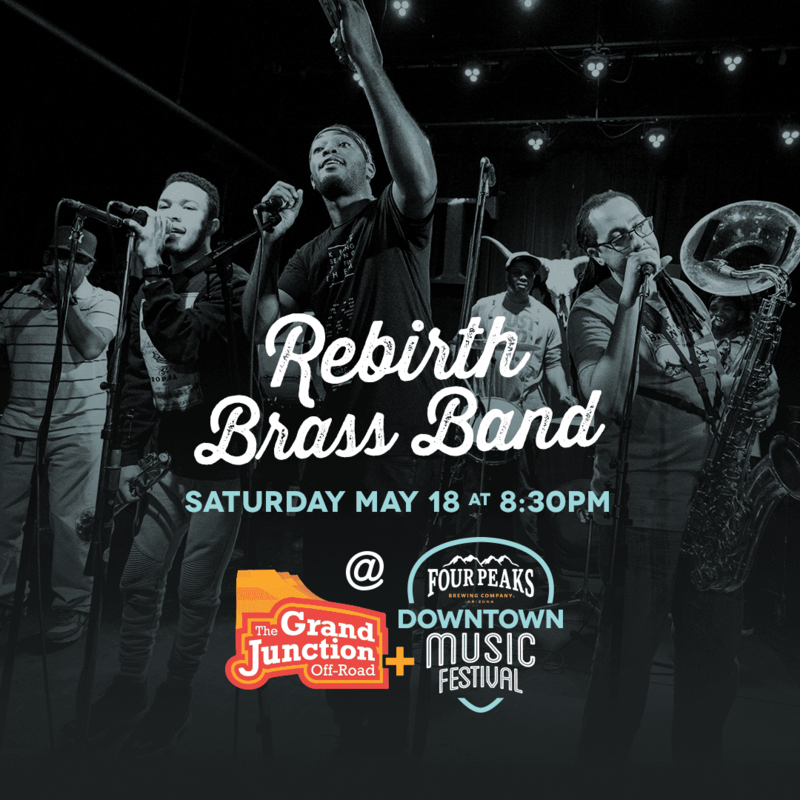 Rebirth Brass Band is well-known for its energetic shows and is sure to bring the excitement to Grand Junction’s favorite street party this May. “Rebirth is more like a party than a machine,” explained by The New York Times, “It’s a working model of the New Orleans musical ethos”. Caitlyn also explained that Downtown restaurants, bars, or shops, as well as all other areas of the community, benefit heavily from this event and is a driving event for the local economy. To see the full lineup of the festival, please visit downtowngj.org and follow Downtown on Facebook and Instagram for the most up-to-date information about the event.